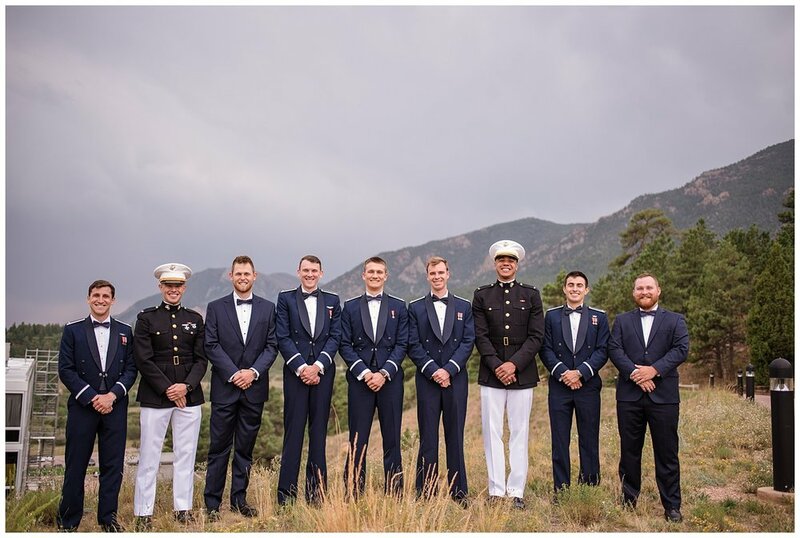 Check out this gorgeous Colorado Wedding Photography by Molly Margaret Photography in Colorado Springs at the Cadet Chapel, Garden of the Gods and Rustic Lace Barn. 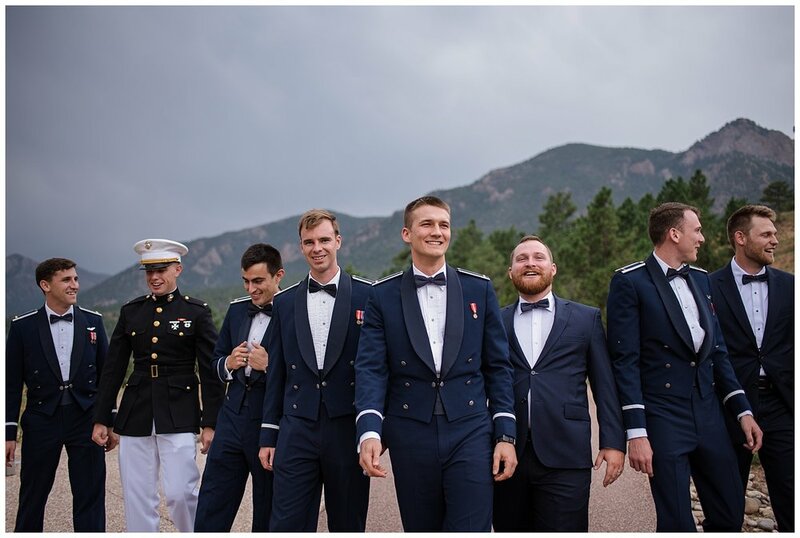 I am so honored to share this beautiful Colorado Springs Wedding with you! 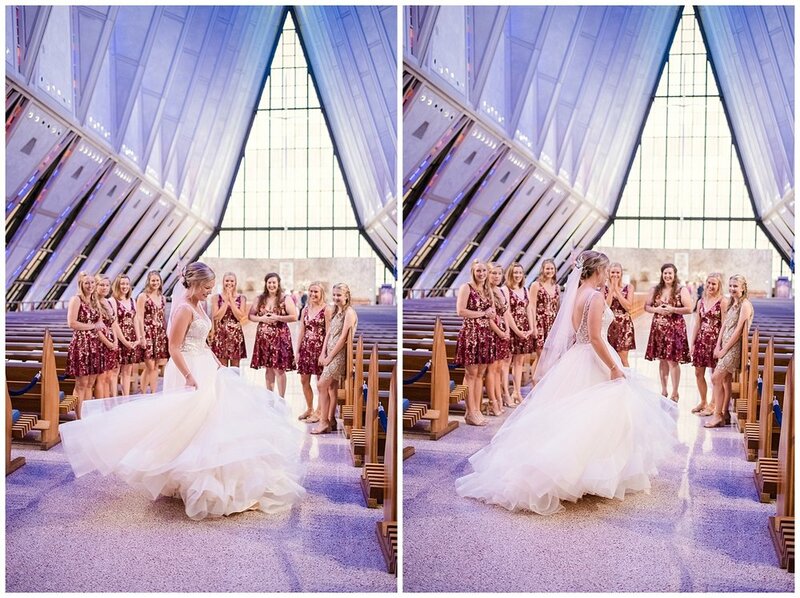 With the ceremony taking place at the Cadet Chapel at the United States Air Force Academy this stunning ceremony was a huge highlight of Sarah and Nolans Wedding Day. 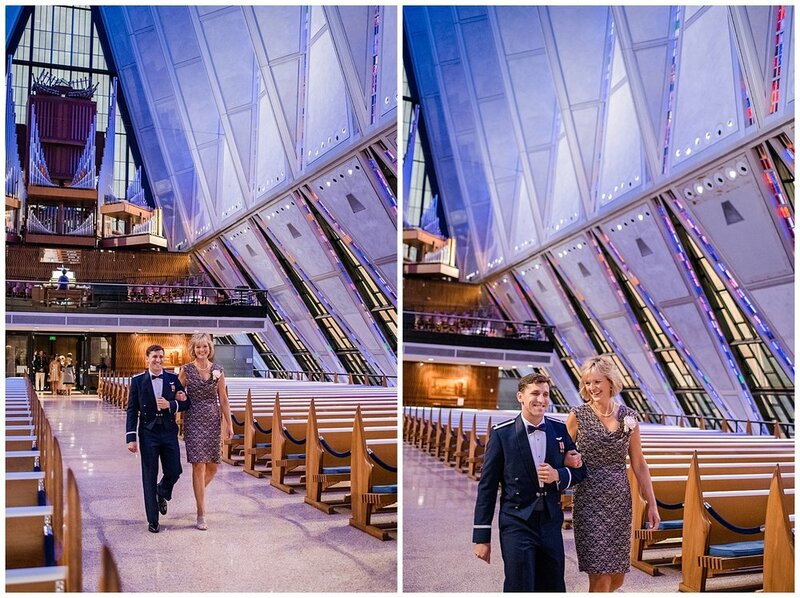 The Cadet Chapel is a staple location of Colorado for Colorado Weddings and even tours - did you know it is most visited man-made tourist attraction in Colorado? I had never been to it and when I walked in - I was not disappointed! Sarah and Nolans favorite things to do include hiking in Rocky Mountain National Park and around Colorado, as well as spend long weekends together (they have been long distance for pretty much ALL of their relationship!) and when I asked them what their "spark" was they said it was a dare to ask Nolan out on a date after they were both in the same wedding. Ha, if that's not fate I don't know what is. Sarah and Nolan did not want to see each other before the ceremony but Sarah took a few moments with her favorite ladies and of course her father. Both moments were equally adorable - I'll admit I was pretty emotional for both! 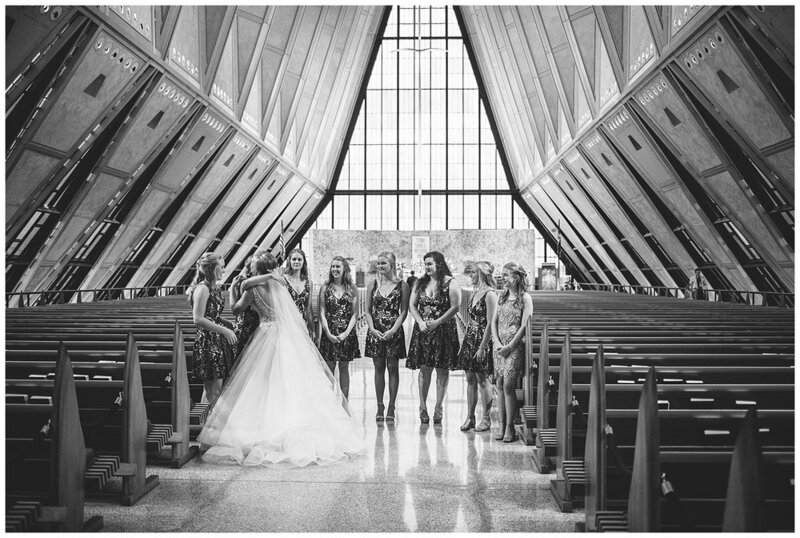 Rustic Lace Barn is a newer Colorado Wedding Venue and I think they are doing well for the beginning of a busy season! 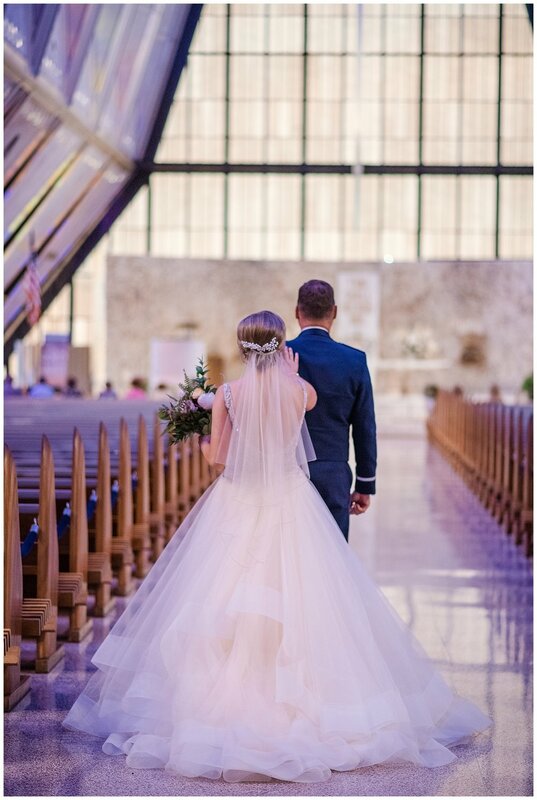 Ran by a family team, they have spent a lot of time and love getting their new venue just right! It features a hidden dessert nook which gives a super fun element to the wedding day when you "reveal" your wedding cake! Thank you Sarah and Nolan for letting me follow you guys around for the day ;-) Congratulations on your wedding and I can't wait to see all the awesome things life has in store for the two of you!